Nature invigorates and balances us. 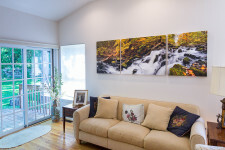 Images of nature can bring positive energy into a living space, and help you appreciate beauty on a regular basis. 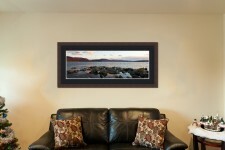 Fine art prints are a great way to enjoy all that nature has to offer. We offer Matted, Wood Framed, and Canvas Museum presentation options. The quality and impressive nature of our prints far surpasses what you see on your computer monitor, and brings each print to life. I’m confident you will be completely satisfied with your purchase and offer an exclusive guarantee. Each print is titled and signed by me, and comes with a sealed Certificate of Authenticity , which is your guarantee of its originality. In addition, we also enjoy visitors in our new studio/gallery in Beacon, New York to see prints in person and discuss presentation options. I take great pride and care in helping you make the best choice for your home or office. Please contact us to set up an appointment. I do all of my own printing, matting, and framing in my studio to ensure that each and every print is perfect, we truly want you to be completely satisfied with your investment. . I use pigment based Epson and Canon large format printers, and all prints are guaranteed for life never to fade or change color, assuming proper care and protection from exposure to ultraviolet radiation such as sunlight. If there is ever any problem, the print will be replaced and framed free of charge. Prints are matted using Bainbridge archival mats and backing board. 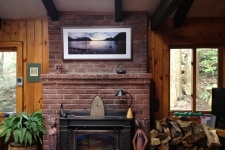 Wood frames are available in many styles and colors, and all prints use TruVue Anti-Reflective Museum glass. Each framed photograph comes with a unique seal of authenticity label on the back, and my signature and edition number on the front. 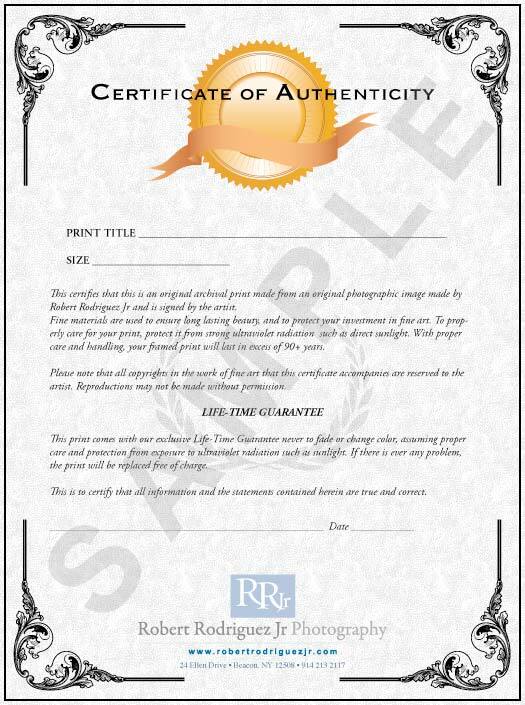 The presence of this label guarantees that you own an original photograph. Canvas Museum Wrap prints provide you with a clean and intimate presentation that focuses on the image itself without framing or glare from glass. The non-glare quality provides the most flexibility for different mounting locations without concern for bright lighting. Compared to matted and framed prints, the canvas prints look more like paintings, but preserve the rich colors, tonal depth, and fine details of a traditional photograph. After the canvas print has dried thoroughly, a special coating is applied to the canvas to guard against the harmful effects of light, water and abrasion. This protective coating helps to bring out the depth and clarity of the image and allows the canvas to be cleaned with a damp cloth. 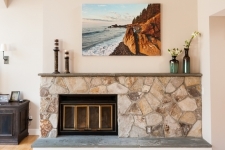 It is then stretched onto a 1 1/2″ pine wood frame for a classic frameless presentation. Each canvas is hand made by me in my studio, and I sign and date each one with a fine point silver marker for authenticity. For a given wall space you should generally choose the next larger size for a canvas print than you would for a matted print. 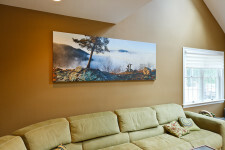 The total size and cost is usually about the same, but you get a larger and more detailed image with the canvas print. 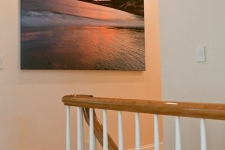 Learn the differences between Canvas and Framed prints. Purchase a print at one of my shows, or place an order on the website. Take 30 days to decide. If the size is wrong or it just doesn’t work in your room simply exchange it for another one or return it within 30 days to receive your money back (less s+h costs). Email me a photo of your room with the blank wall and provide me with some measurements and the photo you are interested in. 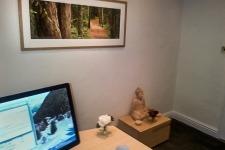 I will then email you a photo with the image superimposed on your wall so you may see exactly how the artwork will look. If your home or business is located in the greater Beacon area, call me at (845) 531-4961 to inquire about scheduling a personal home or office showing. All prints come with a Lifetime money back Guarantee. FREE DOMESTIC SHIPPING is included on all print purchases over $200.00. 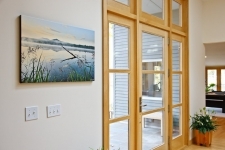 Call our studio at (845) 531-4961 and discover the beauty of nature in your home or office.